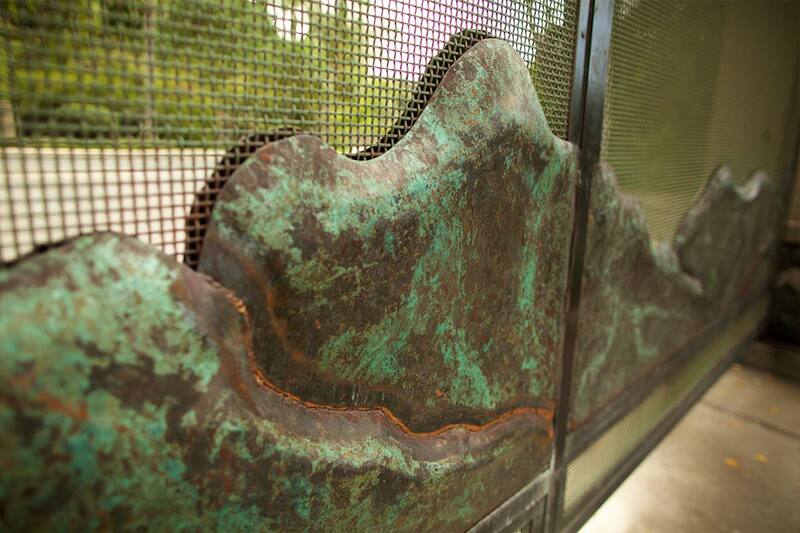 This project incorporated artistic style into their common areas through our metal sculpture. 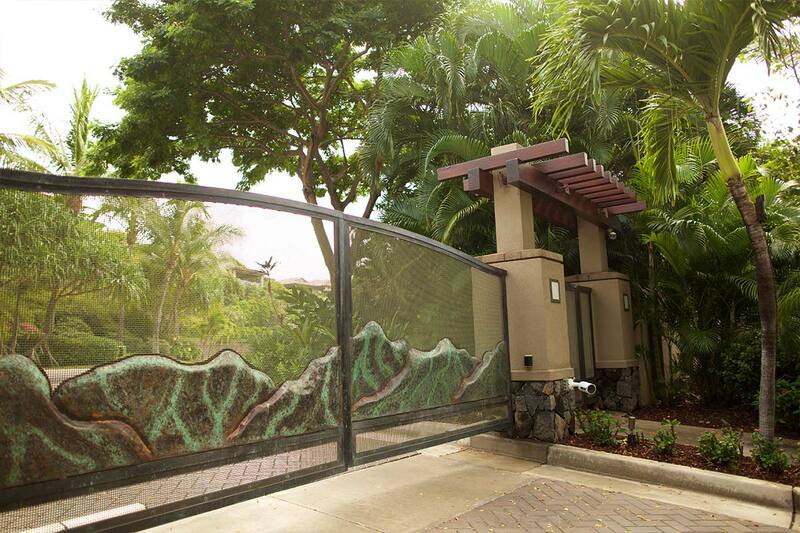 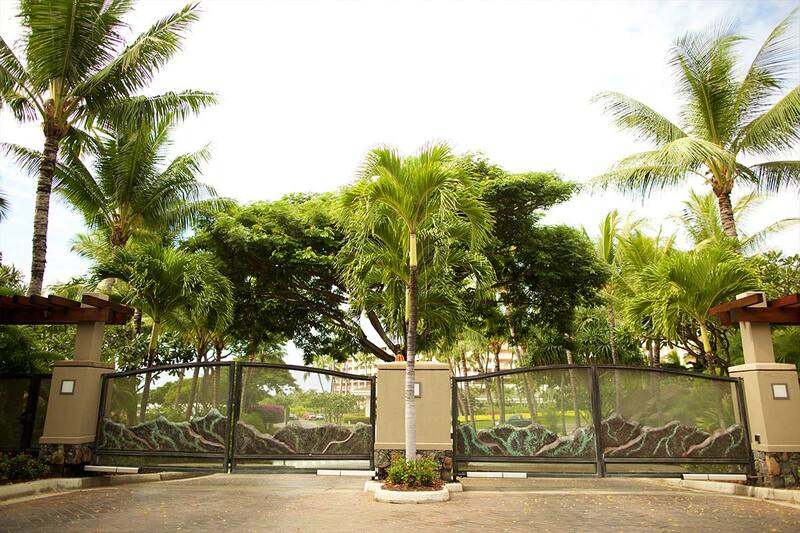 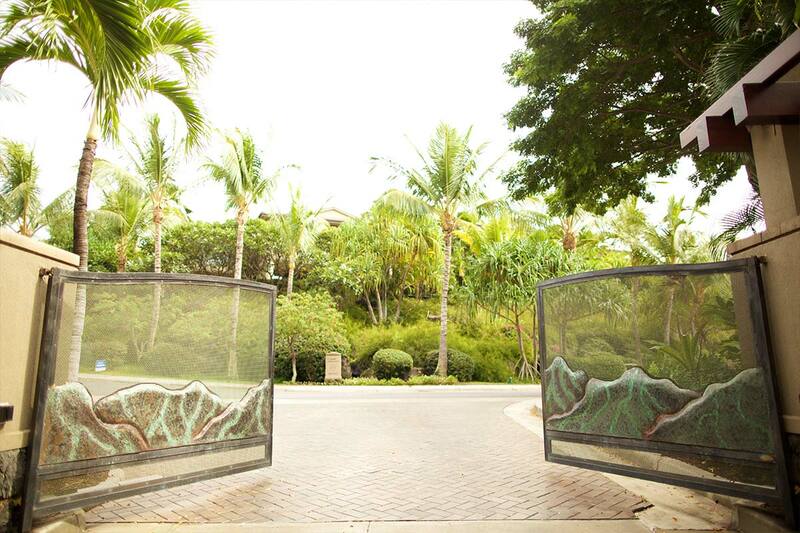 From the entry gates and tiki torches to the custom pool railings and brass signage the artwork brings a little more luxury to the environment. 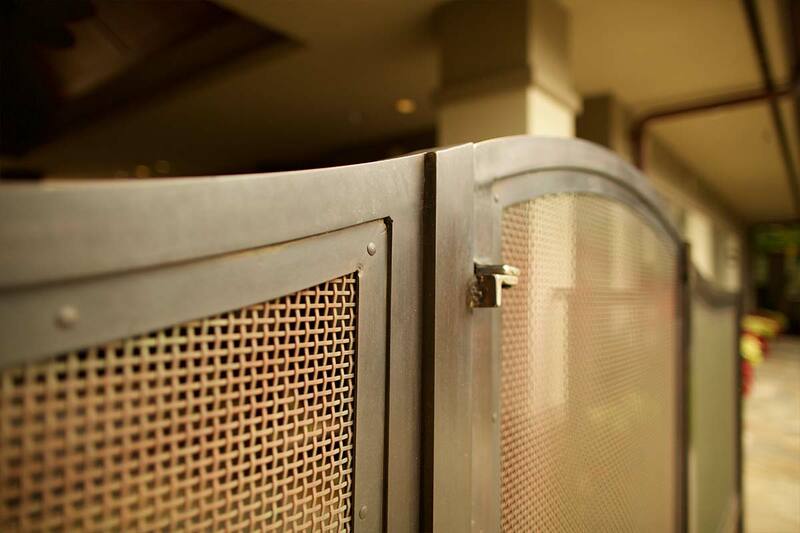 The vehicle and pedestrian gates were designed to be strong in statement but soft in appearance. 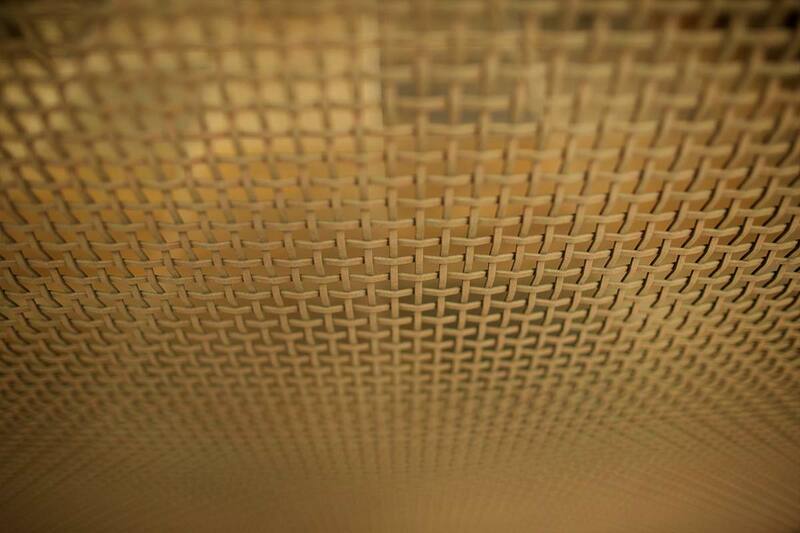 They weave together copper, sheet, bronze mesh and architectural brass to create an inviting and architecturally beautiful statement. 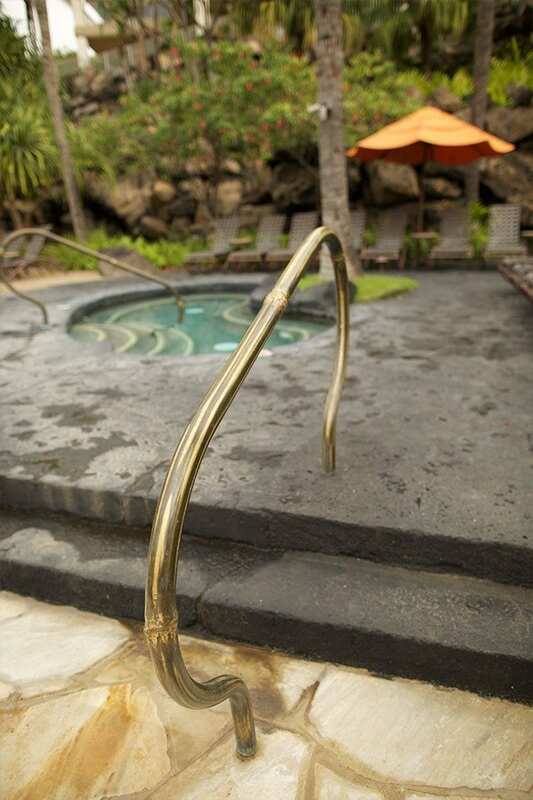 The logos and signage for the resort were water jet out of 1⁄2” brass plate and backed with stainless steel for strength and support. 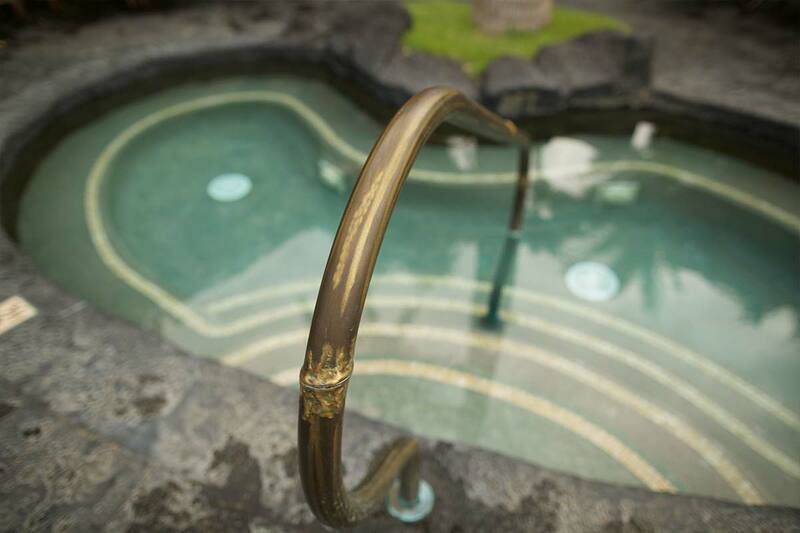 Polished brass shows a luxuries feel for all guests. 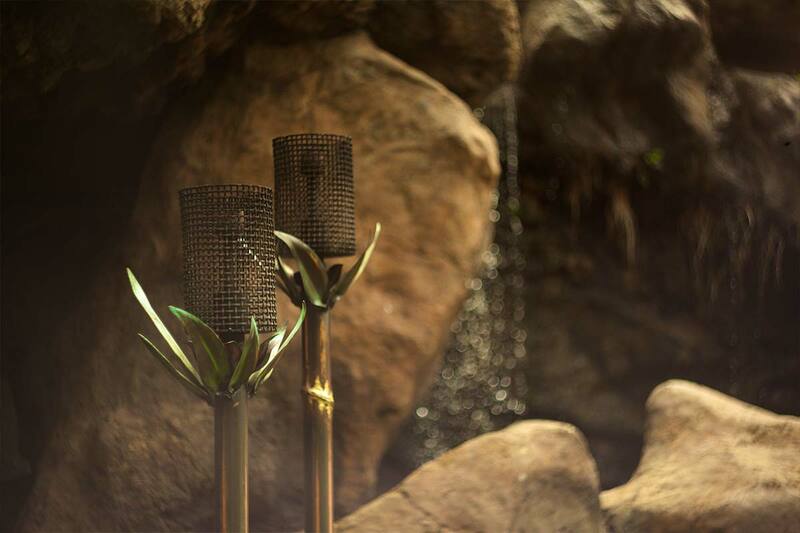 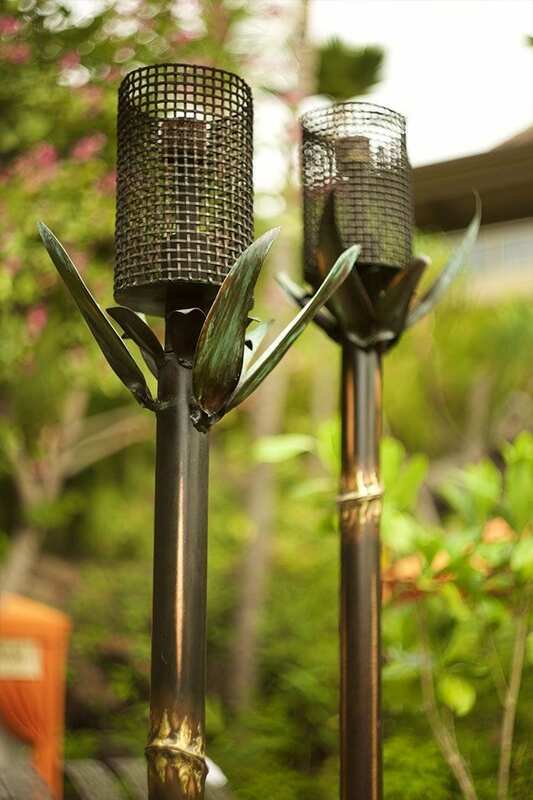 Custom designed for this resort the copper and brass tiki torches are a fusion of our copper bamboo and bronze mesh material. 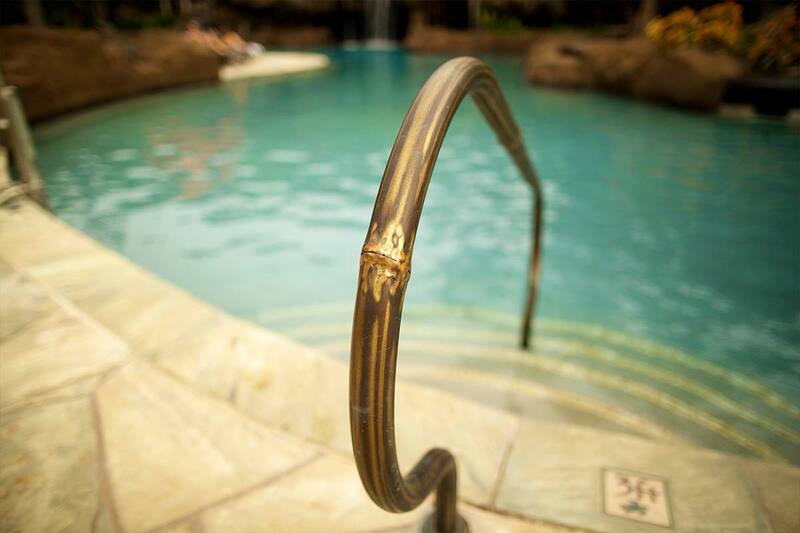 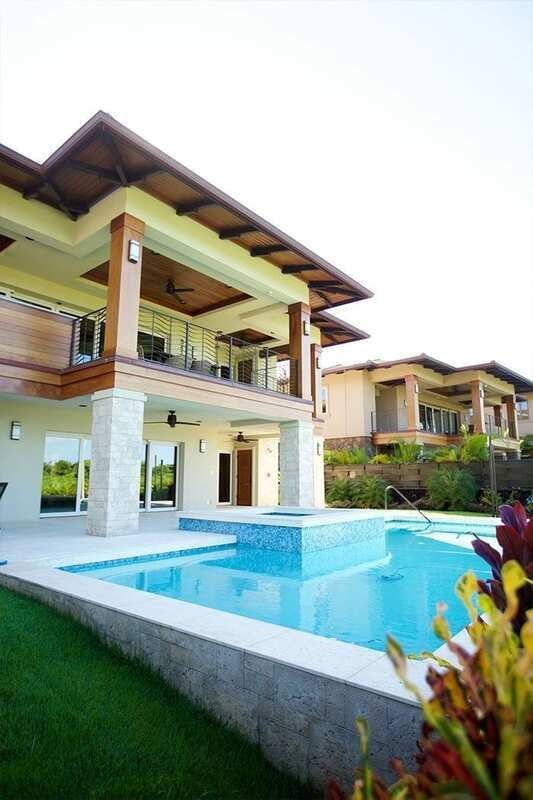 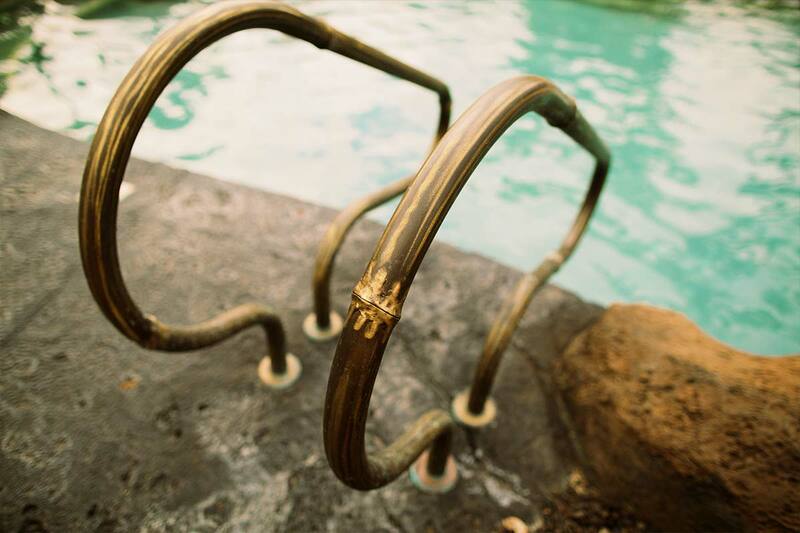 Typical resort pool railings are industrial stainless steel or chrome aluminum. 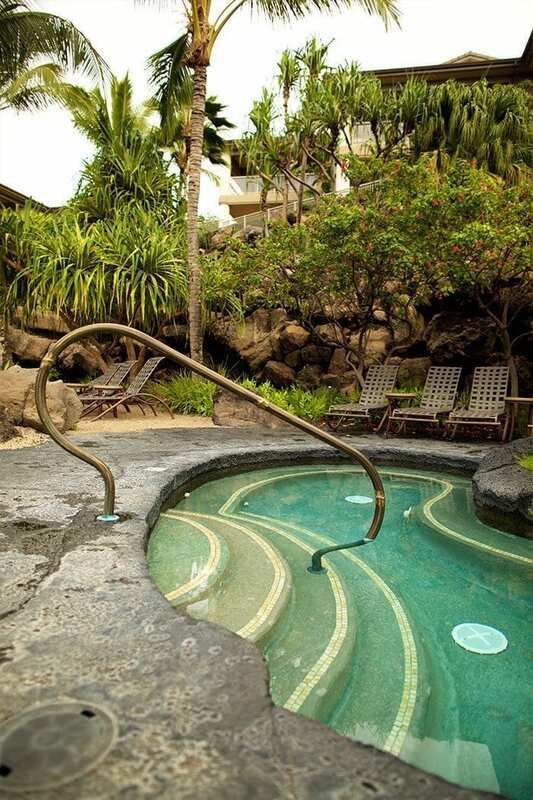 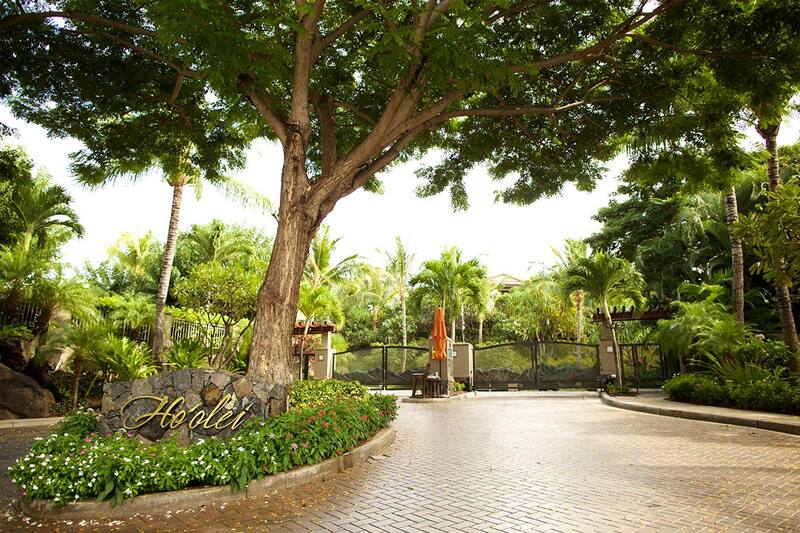 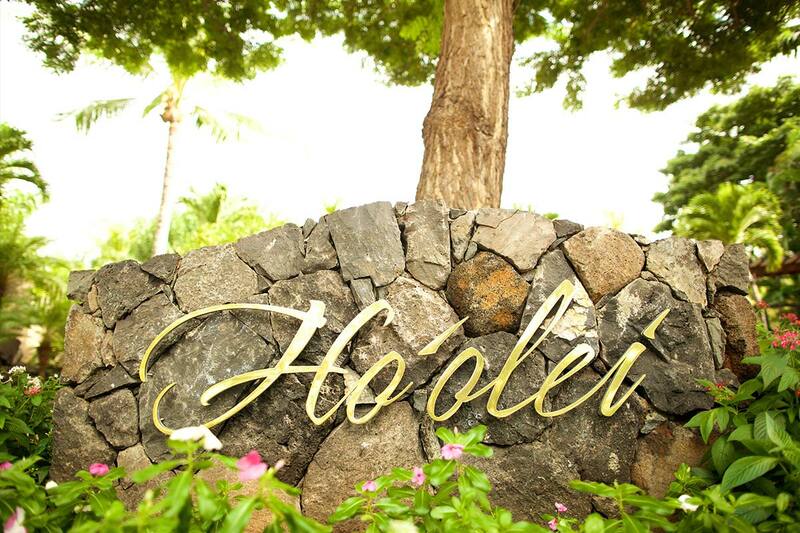 The luxury environment of the Hoolei demanded something more. 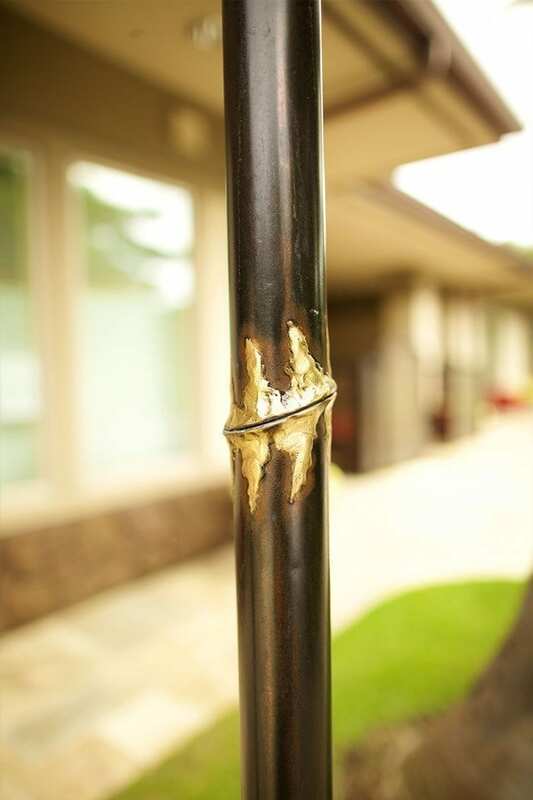 We designed the railings out of 2” heavy brass tube so we could sculpt bamboo knots on select locations along the railings. 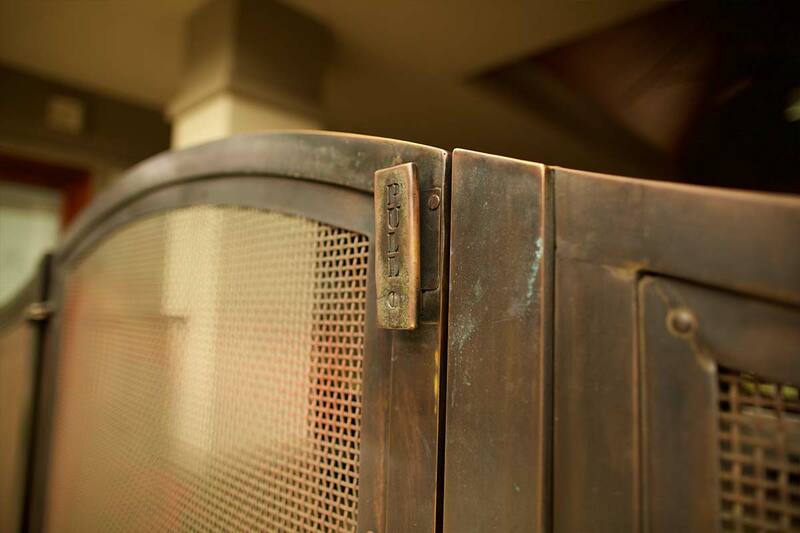 They are finished with a bronze patina with natural brass highlighting. 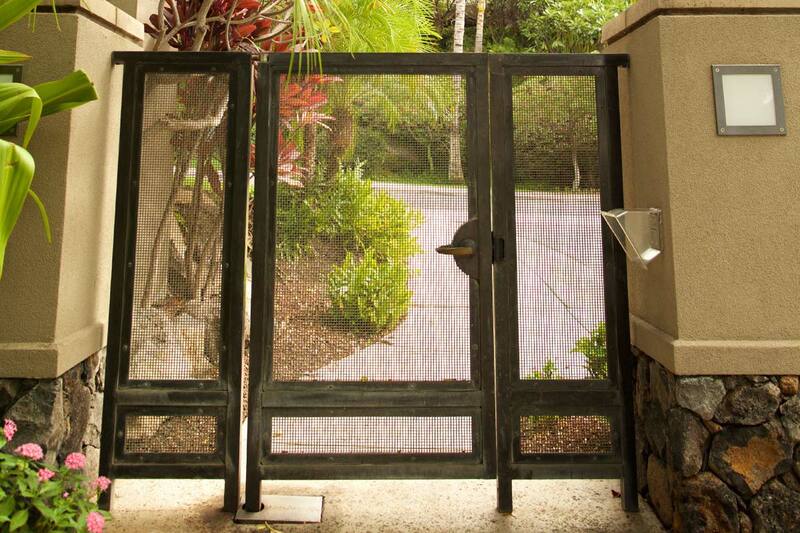 Estate metal design for a new development of 4 luxury homes in Makena, Maui, in 2014-2015. 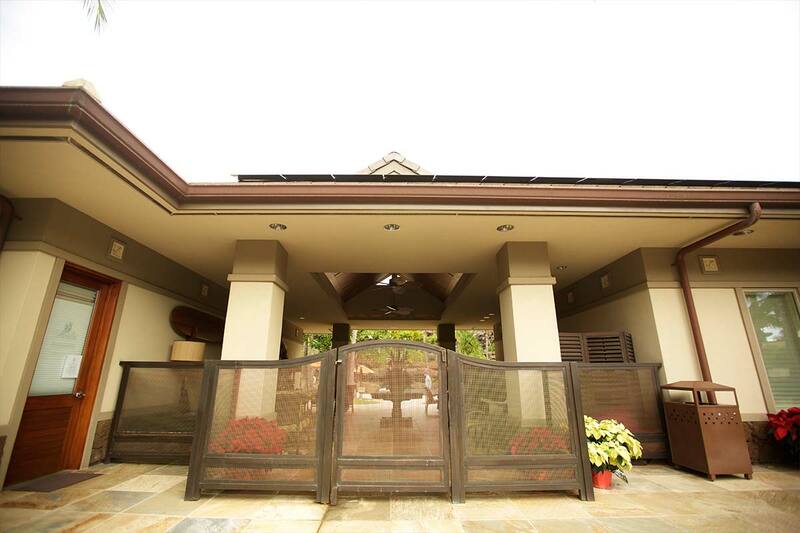 We were hired to increase the attraction of the homes to potential buyers, to help the houses stand apart with unique functional metal sculpture and design.